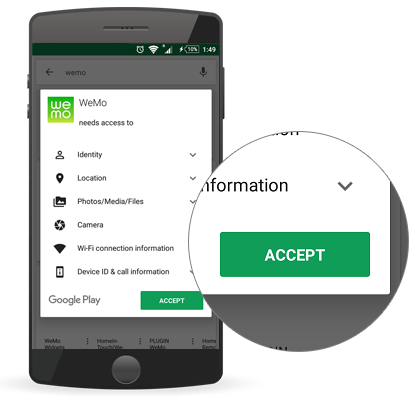 Remote Access is one of the useful features on your Wemo App which allows you to control your Wemo® devices even though you're away from home using your mobile device (smartphone or tablet). 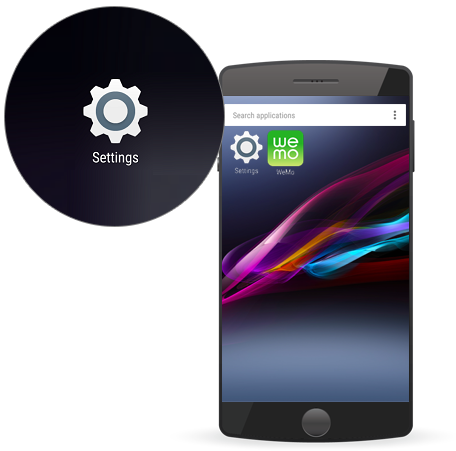 When accessing Wemo remotely, the Wemo App contacts the Remote Access Server which relays the command back to your Wemo device at home. The Wemo App sets a response time for communication with the Remote Access Server and if it doesn’t receive a response in the time allotted, it will show the message Not Detected. It may take some time for the Cloud to communicate with your Wemo device depending upon Wi-Fi® congestion. This article will provide you with troubleshooting tips to solve this issue. Your Wemo devices are properly configured and are working fine. NOTE: If the devices are having connectivity problems, click here for troubleshooting instructions. You are able to see the Wemo devices in your Wemo App. If not, you may need to set it up again. The Wemo App on your mobile device is synched to only one Wemo Wi-Fi. Currently, the Wemo App only supports the control of a single Wemo Wi-Fi at a time. If you used your device to set up Wemo Wi-Fi in multiple locations, you will experience difficulties with remote access. TIP 1: Confirm that the Remote Access feature is enabled. Make sure that the Remote Access feature is enabled in your Wemo App. For instructions, click here. QUICK TIP: When the Remote Access is enabled, you may disable it and connect the device locally. Once connected, enable the Remote Access again. TIP 2: Make sure that your internet connection is working properly. Internet connection problems will affect the Wemo App's ability to function. It is recommended to check if other devices that are connected to your modem or router are able to access the internet. If not, try turning OFF your modem and router by unplugging them from the power outlet for 30 seconds. Plug the modem first then, after 30 seconds, plug in the router. TIP 3: Refresh the Wi-Fi feature of your mobile device. Go to Settings then tap Wi-Fi. Toggle the Wi-Fi button to turn ON then OFF. NOTE: Refer to your mobile device’s documentation to know how to refresh the Wi-Fi feature. TIP 4: Refresh the Wemo App. Tap the Wemo App on your iOS or Android™ device, and then tap the Refresh icon. Allow 30 seconds for the Wemo App to refresh. Alternatively, you can close the Wemo App and open it again. NOTE: Make sure you have the latest Wemo App. If you don’t have the latest Wemo App version, you may download it from App Store® for iOS devices or Google Play™ for Android devices. Step 1: Tap and hold the Wemo App until it shakes. Tap the x symbol on the top-left corner of the app to delete. Step 2: Once prompted, tap Delete. The app should now be uninstalled from your device. Step 3: Go to Settings > Wi-Fi. Make sure the Wi-Fi is set to the ON position. 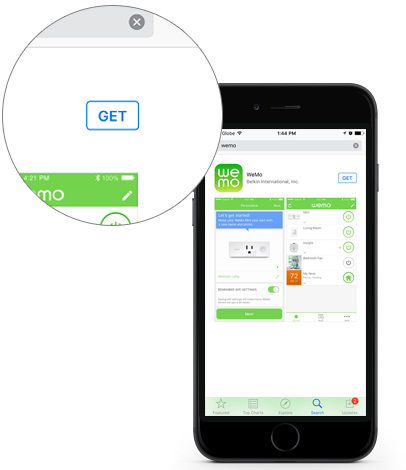 Step 4: Download the Wemo App from the App Store®. Reinstall it to your mobile device by tapping GET. Wait for the installation to finish. Step 5: Once it is installed, launch the Wemo App again. Step 6: If prompted, tap OK to proceed. 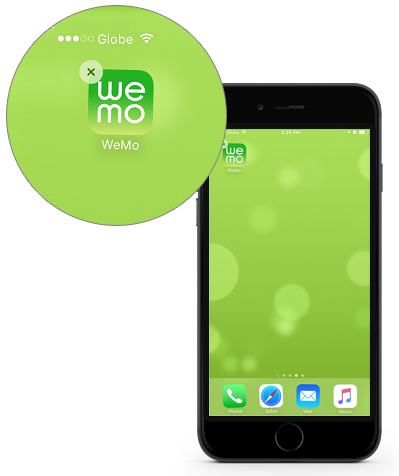 Wait for the Wemo App to locate your Wemo devices. 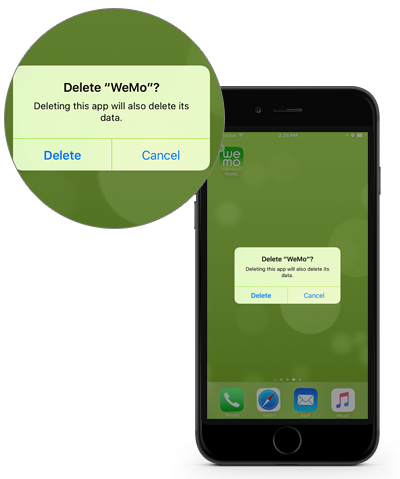 Step 7: Turn all your Wemo devices ON and then OFF using the Wemo App. Step 8: Wait for 30 seconds. Close the Wemo App to make sure it's not running in the background. Step 9: Go back to Settings > Wi-Fi. 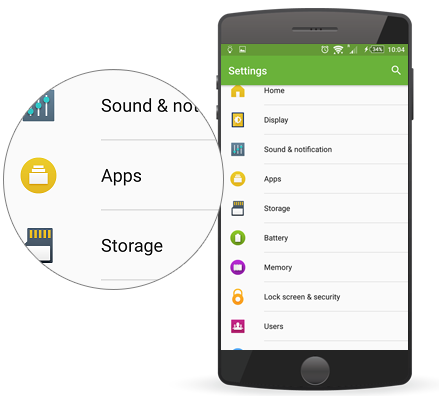 Disable and re-enable the Wi-Fi by toggling the button to the left and then to the right. Step 10: Test Remote Access. QUICK TIP: If you had to do steps 2 or 3 and you use the If This Then That (IFTTT) integration service, you will need to remove the Wemo channel from your IFTTT account and generate a new IFTTT pin. 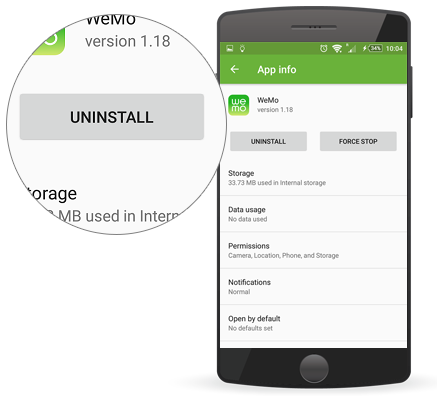 Step 1: Uninstall the Wemo App from your Android device by going to Settings. 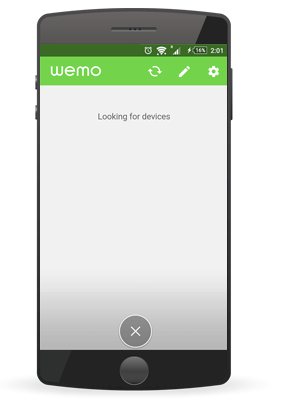 Step 2: Tap on Apps then locate the Wemo App on the list. 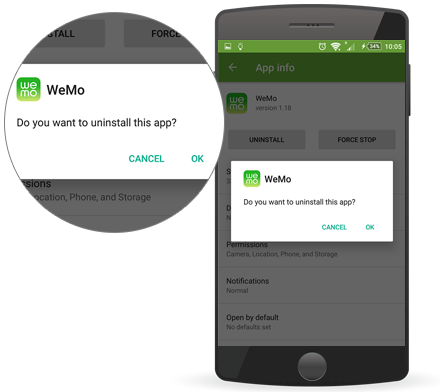 Step 3: After selecting the Wemo App, tap UNINSTALL. Step 4: Go to Settings > Wi-Fi. Make sure the Wi-Fi is turned ON. 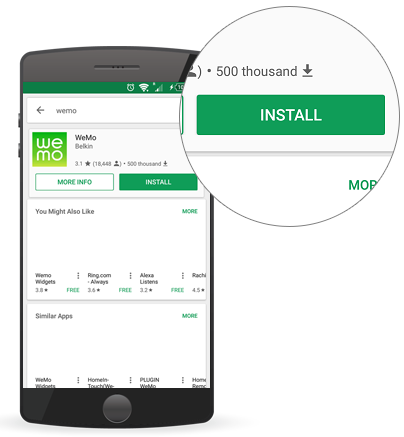 Step 5: Download the Wemo App from the Google Play™ and reinstall it to your mobile device. It should be installed on your device now. Step 7: Launch the Wemo App again. Wait for it to locate your Wemo devices. 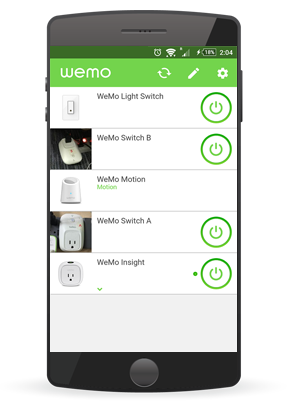 Step 8: Turn all your Wemo devices ON and then OFF using the Wemo App. Step 9: Wait for 30 seconds. Close the Wemo App to make sure it's not running in the background. Step 10: Go back to Settings > Wi-Fi. Step 11: Disable and re-enable the Wi-Fi by toggling the button to the left and then to the right. Step 12: Test Remote Access. If the tips above did not help, you will need to perform a factory reset on your Wemo devices, reinstall the Wemo App and run the setup again. To learn more about restoring your Wemo to its factory default settings, click here. 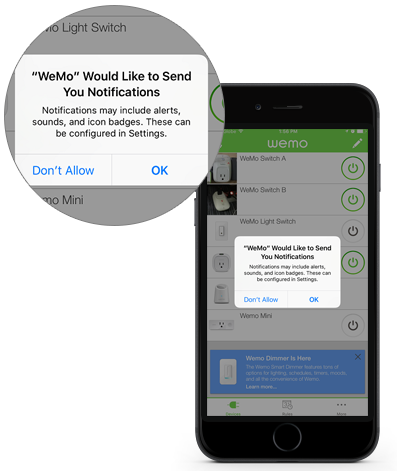 If you encounter some issues with Wemo devices, click here for troubleshooting steps. NOTE: If you have installed a new router, you may need to set up the Wemo again since it should be associated to the Wi-Fi of the new router. For instructions in troubleshooting your Wemo connection to the Wi-Fi, click here.